Back in the 1980s Jimmy Rabbitte was a wannabe manager who put together The Commitments, a soul band of Dublin northsiders. Now 47 he’s still working on the fringes of the music industry, specialising in hunting down Irish punk and prog rock bands from the 1970s and re-releasing their back catalogue and hosting gigs. Married with four kids he’s barely scrapping by in the aftermath of the Celtic Tiger bust and to top it off he’s been diagnosed with bowel cancer. Struggling to cope with the anxiety of treatment and work, Jimmy is in a slump, but then he hits on a plan to revive his fortunes -- the Eucharistic Congress is going to return to Dublin in 2012 and they’ll release a CD of risqué Irish songs from 1932, the last time it had been held in Ireland. All he needs to do is wade through old record collections to find a dozen suitable tracks. On the journey he rediscovers Imelda Quirk, the gorgeous singer from The Commitments, Outspan, the rhythm guitarist who now has terminal lung cancer, and his brother Les, who left for England twenty years ago and hasn’t been heard of since, as well as forming new bonds with his family. It’s about twenty years since I read The Commitments, following Jimmy Rabbitte’s attempts to put together a soul band in North Dublin in the recession hit 1980s. I remember it as a short, sharp book, full of wit and keen observation that rattled along at a fair clip. The Guts picks up Jimmy’s story in 2012 as he battles bowel cancer and a mid-life/end-life crisis, trying to stay alive, keep his business afloat, and his family happy. The book is full of humour and charm, some excellent passages of dialogue and nice observations about family, friends and Irish life, and the characterisation and social interactions are very well portrayed. However, the book suffers from two issues, plot and pace. After an excellent start, the pace slowed and the plot meandered, a bit like Jimmy as he tried to find focus and purpose. Many of the passages were too long and did not move the story forward. As a result the story felt aimless, indulgent and in need of a good edit (for example, removing a good chunk of redundant dialogue; to make it more like The Commitments in form). What rescues the book is the latter third. From the incident cleaning the brown bin onwards the book is simply brilliant. The plot gains direction, the sections shorten, the pace picks up and the energy, pathos and humour are dialled to eleven. I laughed out loud dozens of times, stopping to share lines with others. It was simply an inspired piece of writing. If the rest of the story had been as good as this it would have been a contender for my book of the year. Unfortunately, the first two thirds are too uneven in pace and directionless in plot. 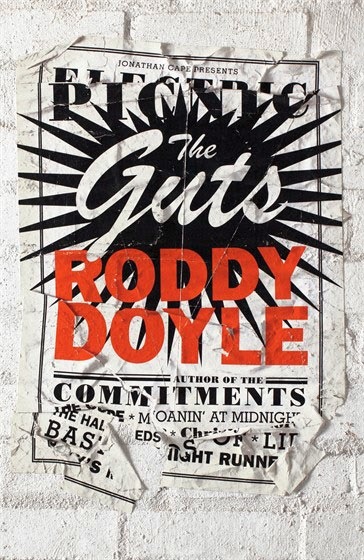 Nevertheless, a good read and a heartening rejoinder to the Barrytown trilogy (of which The Commitments was the first book).